_ If you are in the military and are on active duty or deployed, the Soldiers and Sailors Civil Relief Act will protect you from a default judgment if you are unable to appear in court. If you were served with a summons, you can ask that the legal proceedings be placed on hold until you return from deployment. Please also see our page on Relocation if you receive orders for a PCS move to a different state and you have primary residential custody of the child(ren). 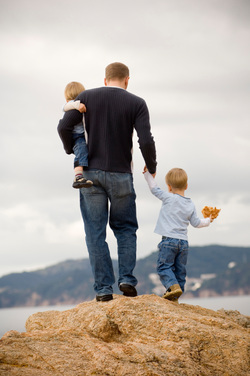 If you do not have primary residential custody, you will need to establish a long-distance visitation schedule to ensure you have an enforceable court order to see your child(ren). A book with information you may find helpful is: Divorce and the Military; A Comprehensive Guide for Service Members, Spouses,and Attorneys, by Marsha L. Thole and Frank W. Ault, published by The American Retirees Association. Contact us if you need help establishing a long distance visitation schedule to visit your child(ren), or if you have questions about your case. 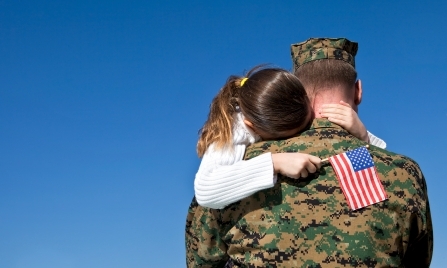 Ask us about the new law passed by the Oklahoma Legislature allowing deployed service members to designate a person to exercise their visitation rights during the deployment ! If you would like to read the Deployed Parents Custody and Visitation Act, it is found at 43 O.S. 150 - 150.10.